Barn weddings are fantastic on many different levels. As well as offering up lots of space both indoors and out, barns are very often a blank canvas that you can dress in any way you like. Most are situated in the countryside with the added benefit of spectacular views nearby, late licences and on site accommodation. Being a Brighton based wedding photographer, working at weddings right the way across Sussex, I’ve had the absolute pleasure to shoot at some of the best out there! 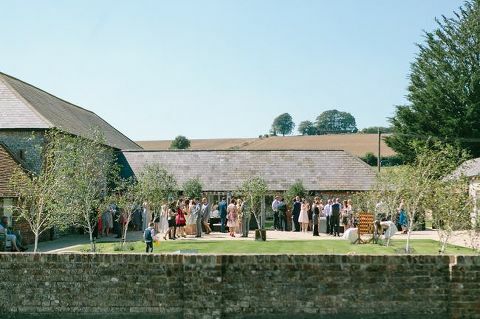 Here are my five recommendations for great Sussex barn wedding venues. 1) Court Gardens Farm, Ditchling. 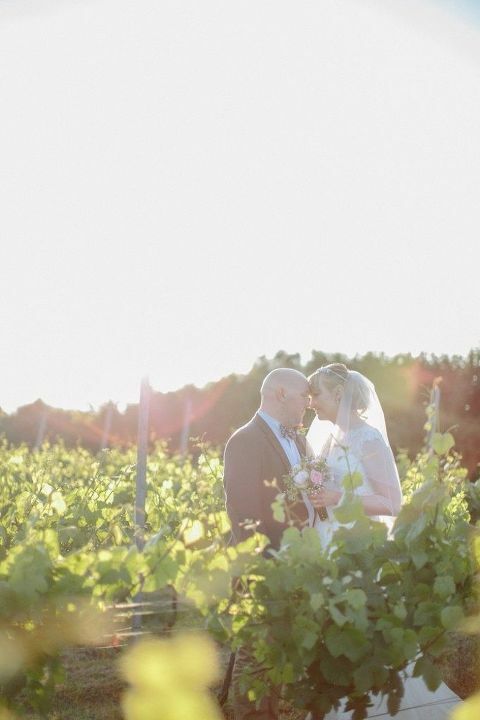 One of my all time favourite venues for a rustic mid-sized barn wedding, Court Gardens Farm in Ditchling sits in the lea of the South Downs surrounded by fields and boasts an award winning vineyard, which is also a great spot for photos! The fully restored, split level, 19th century barn with large courtyard can be decorated in any way you want and has a well equipped servery for on site catering. A perfect location for a relaxed DIY wedding celebration. 2) Farbridge, West Dean, Chichester. Farbridge is a beautifully restored large barn, set in the rural landscape of the South Downs, just outside of Chichester. It boasts all manner of modern facilities without losing any of its historical integrity and also includes accommodation within its substantial grounds. 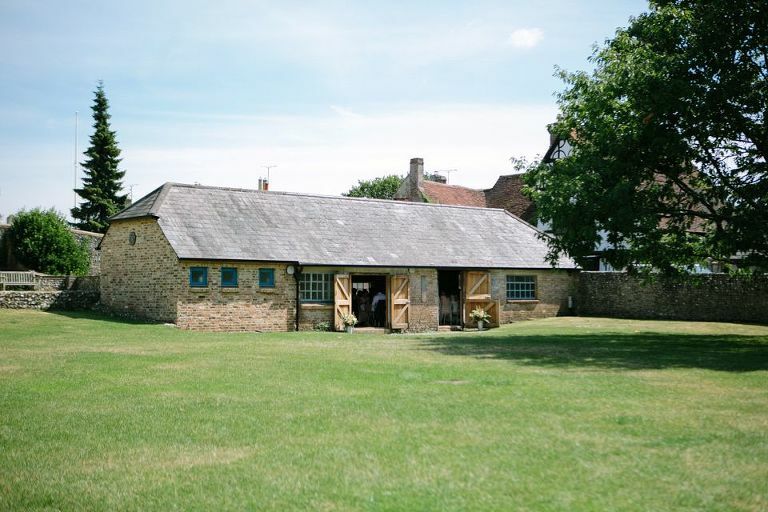 Split across two barns, with a sheltered lawn overlooking the Downs, perfect for an outdoor drinks reception, Farbridge is a must book if you are planning a height of summer modern vintage wedding. 3) Ditchling Village Barn & Green, Ditchling. Ditchling Village Barn is one of two original farm buildings that stand on the site of an old farmyard on the outskirts of Ditchling Village and sits on its own green behind the village church. 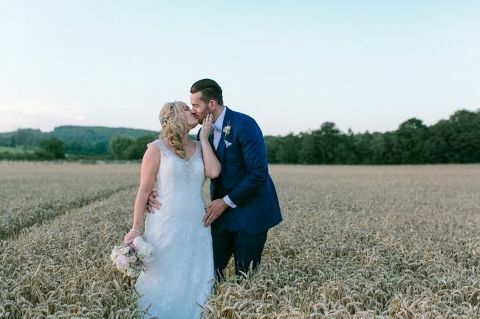 Complete with large oak beams, a fully equipped kitchen and plenty of outdoor space for fun and games, this is a truly lovely venue for a small to mid-sized village hall wedding. 4) Hendall Manor Barn, Heron’s Ghyll, Uckfield. Hendall is tucked away in the heart of the East Sussex countryside and it’s recently restored split level 17th century barn is quite glorious as are its perfectly manicured lawn and large terrace. There is a large pond with decking, a perfect spot for photos, and impressive accommodation within its grounds. Couples booking Hendall for their wedding are actively encouraged to work creatively with the space (yay!) See the full wedding here. Patrick’s Barn dates back to the 17th Century and sits on a private estate and farm deep in the Sussex countryside. Wedding ceremonies are conducted underneath the boughs of the 400 year old oak tree in the grounds of the old coach house, lined by an avenue of giant redwoods. 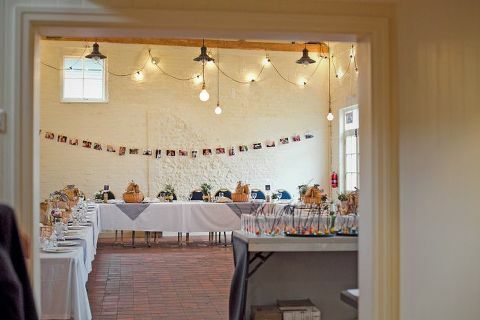 The reception barn is a blank canvas for you to decorate in anyway you wish and the adjacent byre is perfect for the evening party and dancing 🙂 Excellent food comes courtesy of the resident caterers, Garden Chef. Patrick’s Barn is a must book for couples wanting to combine country house grandeur with full on rustic charm. For more of my venue recommendations across Sussex check out this post here. If you are having a Sussex barn wedding this summer and are looking for your photographer then do get in touch!